Russian law enforcers in the occupied Crimea detained Crimean Tatar Zarema Kulametova as well as her daughter, Riana Kulametova, and her spouse, Zekiy Kulametov, journalist Anton Naumlyuk reports on Facebook. According to the journalist, after the searches, the detainees were taken to the Kirov district police department, where the lawyer Emil Kurbedinov also arrived, but he was not allowed to the defendants. Kurbedinov called the behavior of the security forces "the most flagrant violation of human rights to the defense." Naumlyuk further noted that Zarema Kulametova's daughter, Riana, is a witness in the case of another Crimean Tatar activist Marlen Mustafayev who was also detained today. The journalist informed that when Zarema Kulametova was taken away by FSB officers in a passenger GAZel car without numbers, she was brought to a house where a tenant Abdulla Yakubov was at that time, who was also searched. 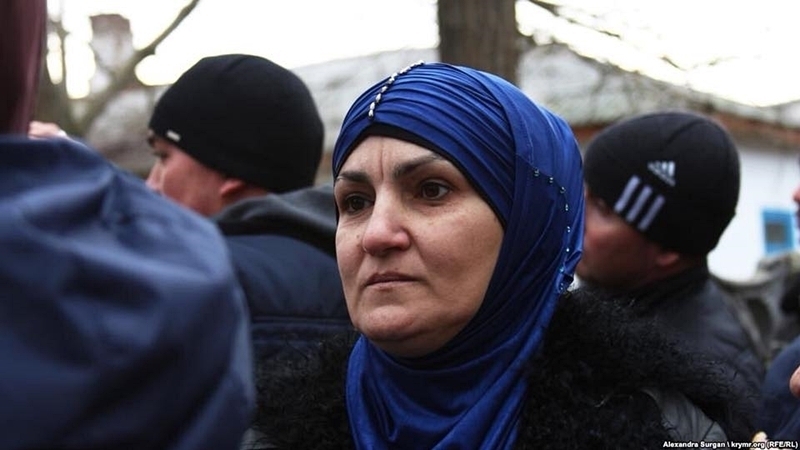 Earlier, QHA reported that the Kremlin-controlled security forces carried out a search in the house of Crimean Tatar woman Zarema Kulamatova. However, before the search, the woman was abdukted. At the time of the abduction, she was in the park on public works. Soon it became known that the FSB officers brought her to the searched house. Previously, on February 24, a criminal case was filed against Zarema Kulametova under Article 319 of the Criminal Code of Russia (insulting a representative of the authority). "Kirovsky District Court" found Zarema Kulametova guilty. The “court” ordered 250 hours of compulsory labor to the Crimean Tatar as well as payment of compensation in the amount of 20 thousand rubles.